Be the first! Pre-order the new Pro XE. Next batch expected to ship late April. NOTE: Your credit card will be charged at checkout to reserve your order. 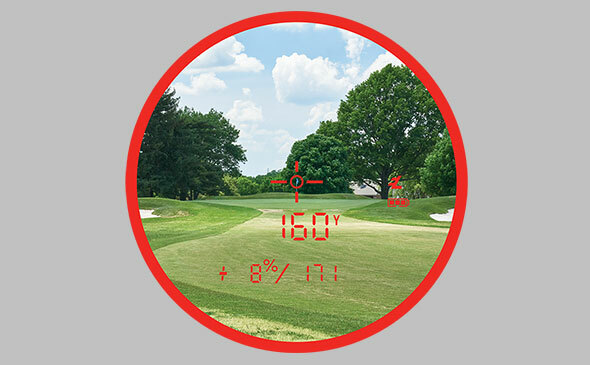 Simply the Best Golf Laser Rangefinder Ever Made. 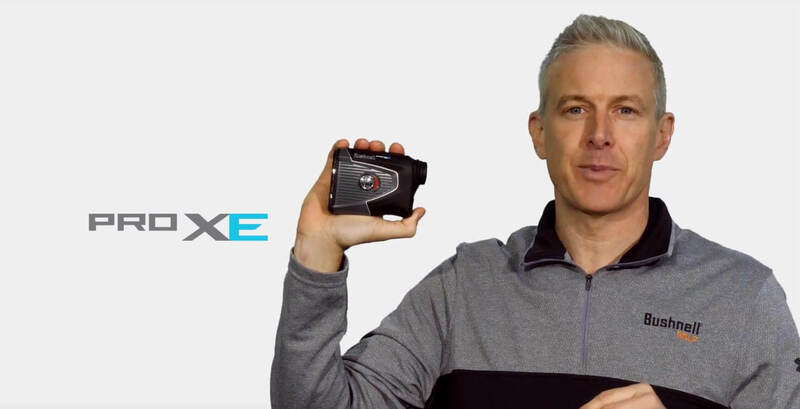 The Pro XE is the most advanced rangefinder featuring best-in-class yardage performance, accuracy and consistency. 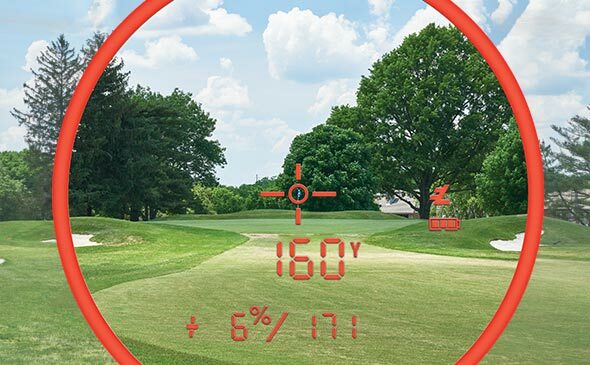 Bushnell Golf has revolutionized golf laser rangefinders with this feature-packed model. 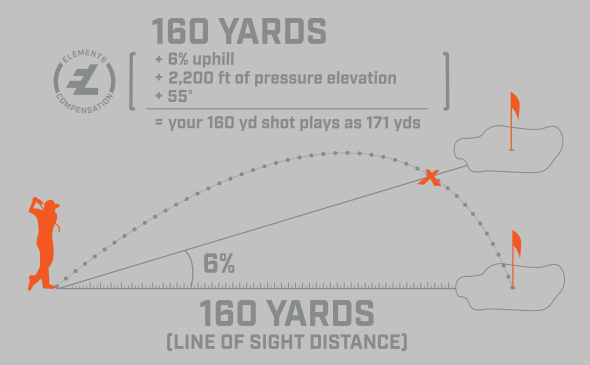 Temperature and barometric pressure have been added to Bushnell’s patented, Tour trusted Slope Technology to give golfers the most precise compensated distances ever. 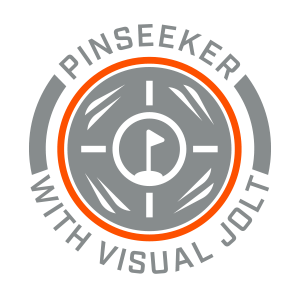 Our award winning JOLT Technology has been advanced with the all new “Visual JOLT.” A red ring now flashes as JOLT vibrates to give the golfer even greater feedback and confidence to know you have locked onto the flag. Ranges 500+ yards to a non-reflective flag. The only 7X magnification rangefinder on the market. High performance optics deliver superior clarity and resolution so you can easily focus on your target. 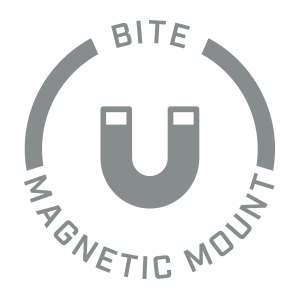 Integrated BITE magnetic cart mount allows you to easily mount the Pro XE right on the cart bar. 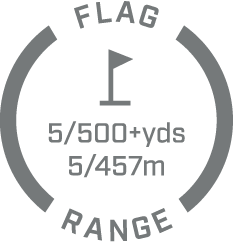 The Pro XE ranges 500+ yards to a flag, with readings accurate down to 1 yard. 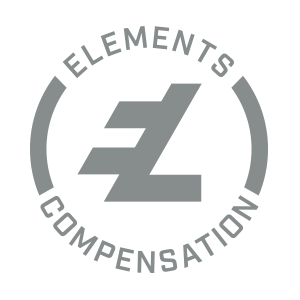 Tour-trusted compensated distances have been taken to the next level with “Elements.” Temperature and barometric pressure have been added to Bushnell’s patented Slope technology to give golfers the most precise compensated distances ever. Built-in magnet technology allows you to easily mount your Pro XE right on the cart bar. 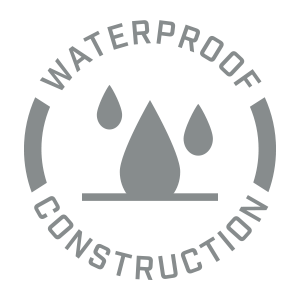 The Pro XE is IPX7 rated with fully waterproof and rubber armored metal housing. 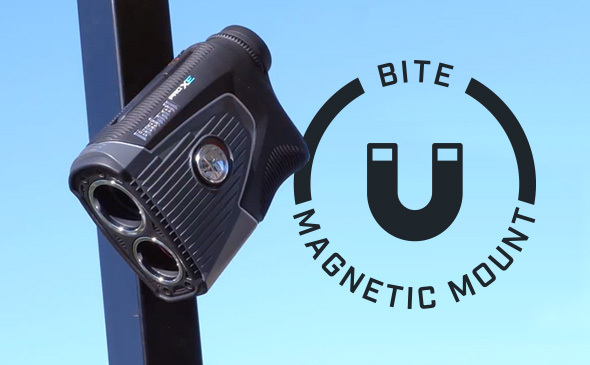 The undisputed #1 Laser Rangefinder in professional golf. 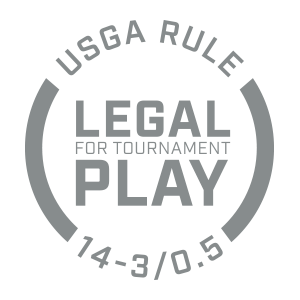 The Darrell Survey Company, one of the most respected research firms in golf for over 25 years, confirmed once again at the 2018 PLAYERS Championship, 2018 NCAA Championship. 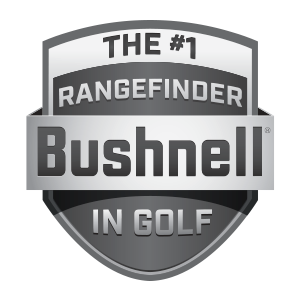 2018 US Amateur, 2018 Boeing Classic and 2017 LPGA CME Group Titleholders that Bushnell is clearly the rangefinder used by more professional tour players than any other.